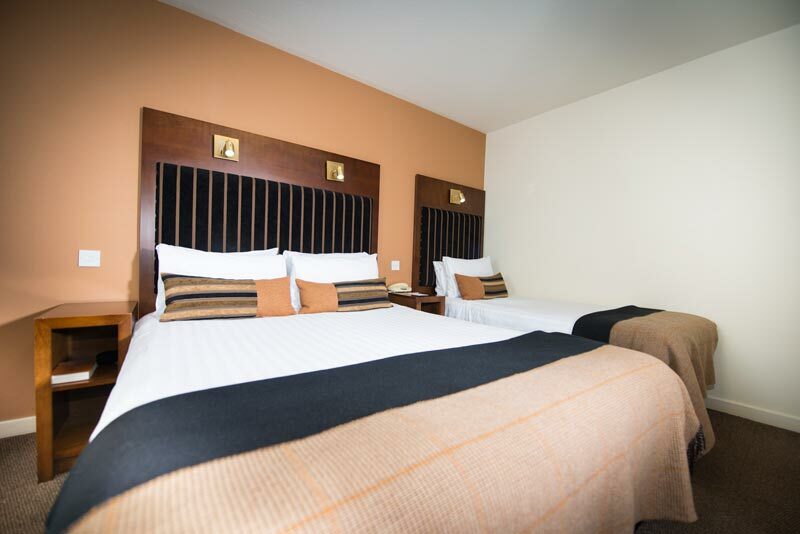 Double bed or Twin bed with Free WiFi, Tea & Coffee maker, hospitality tray, Iron & Ironing board, hair dryer, flat screen TV, luxury toileteries and daily service. 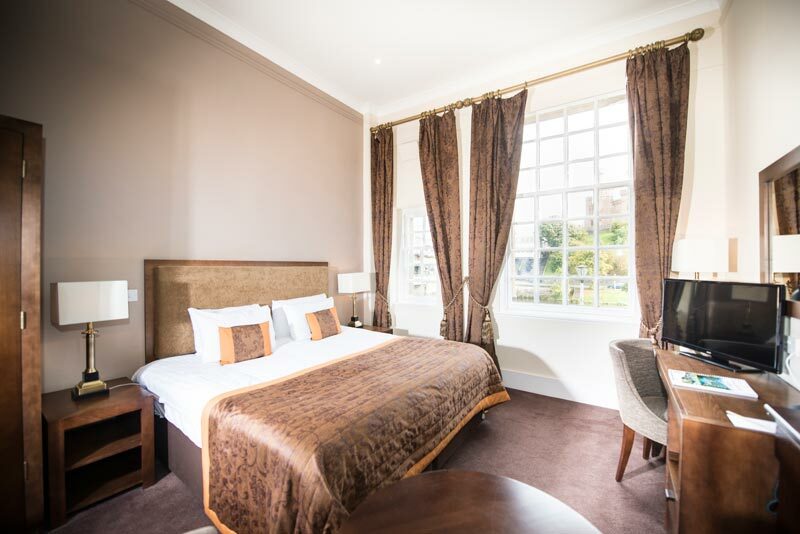 Find your home away from home in our 82 en suite bedrooms at the Columba Hotel, Inverness. 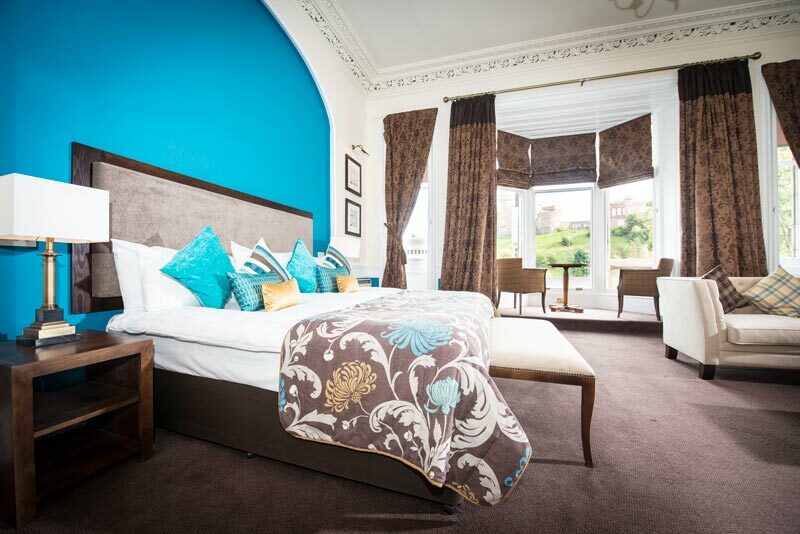 Our rooms come with river and castle views. These include six junior suites and family rooms and a deluxe suite. The hotel's décor combines traditional comfort with contemporary style and amenities. Free wifi is available throughout the building. 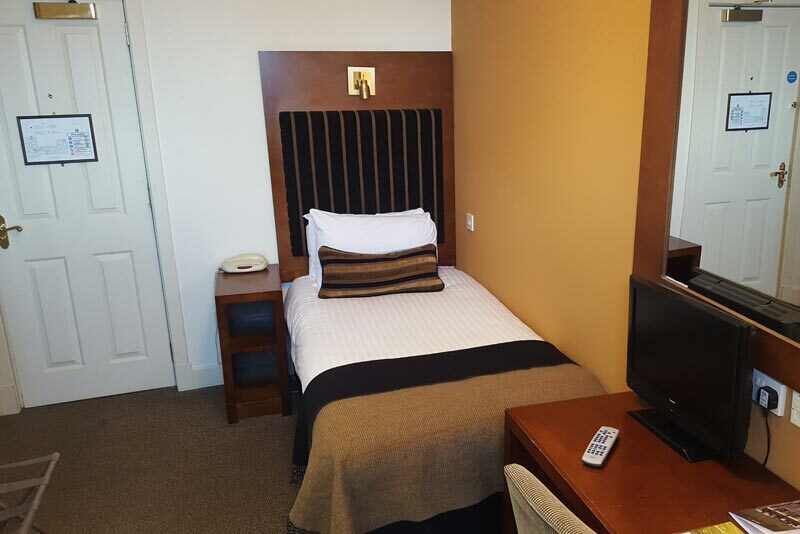 Our standard room has Single bed, Twin Bed, Double Bed room choice from city view and river view with Free WiFi, Tea & Coffee maker, hospitality tray, Iron & Ironing board, Flat screen TV with Freeview. 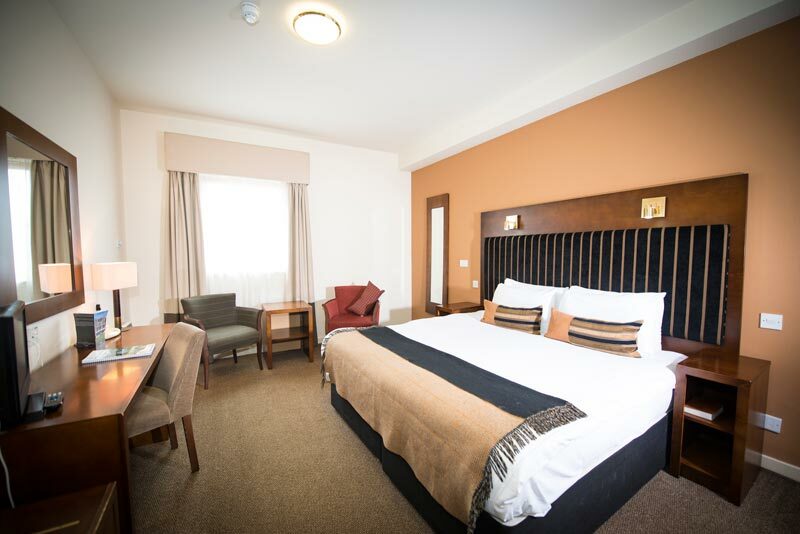 Our executive room come with King size double bed with Free WiFi, full room amenities, luxury toileteries and daily service with great views of the Inverness Castle. This Room also has a separate seating area with a coffee table. 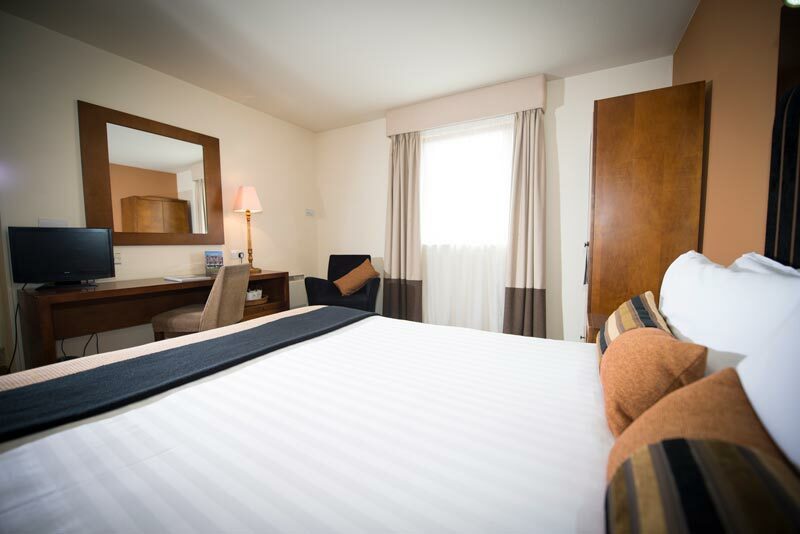 An option of a double bed with a single bed or with 3 single beds (on request only and subject to availability) with Free wi fi, Tea & Coffee maker, hopitality tray, Iron & Ironing board, hair dryer, flat screen TV, luxury toileteries and daily service. 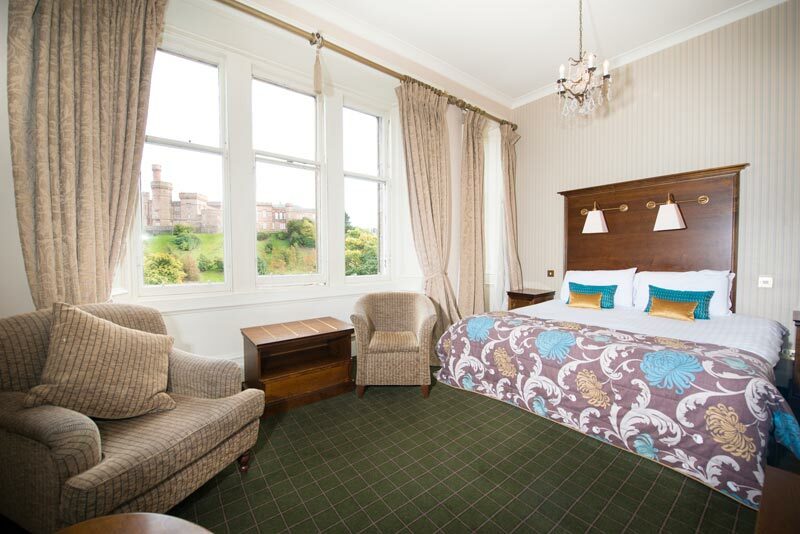 Overlooking Inverness Castle and the River Ness, this "Ness Suite" features Super king size bed with a fire place and seating area. There is also a 60 inch Flat screen TV with free view channels, Free WiFi, a hospitality tray, Iron &Ironing board, hair dryer, safe, fridge and comes with complimentary bathrobes & slippers with signature high end toileteries. Cancellations must be done 1 day in advance. These policies may differ depending on the arrival date, room type or the promotion you're booking. If cancellations are not made by the due date, the hotel will charge for 1 night's stay. For more information on our cancellation policies, please carefully check while booking your stay.